HOME | SITE OVERVIEW | REGISTER / LOGIN TODAY IS: SATURDAY, APRIL 20, 2019 -- THIS SITE IS CLOSED ON SUNDAYS. CaboodleZ.com website is closed on Sundays! 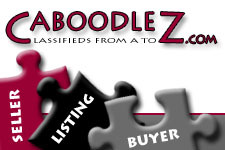 CaboodleZ.com resides on a medium that never sleeps, is available anytime and practically anywhere. It IS an internet based entity. However in developing the business model for CaboodleZ.com my belief irregardless of the internet�s potential and desire with respect to service to God has brought me to develop this website to be closed on Sundays. Today�s fast pace culture makes it a rarity to find a brick and mortar business, small or large, that is closed on Sundays. One notable business that comes to mind Chick-Fil-A is closed every Sunday. Perhaps the seed that rooted into CaboodleZ.com. You may find car dealerships, banks, state and local offices also closed on Sundays. When the idea came to me that CaboodleZ.com will be closed on Sundays, I wasn�t aware of another website that is closed on Sundays. Maybe CaboodleZ.com is the first! Maybe CaboodleZ.com will start a trend, even the Internet can use some down time! If you stopped by CaboodleZ.com and are seeing this message, we welcome you to return when we are open -- Monday through Saturday.